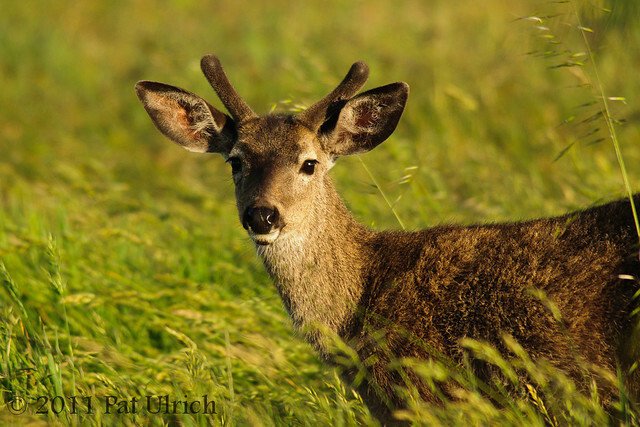 Two shots of a young mule deer buck with velvet antlers enjoying the tall spring grass in Point Reyes National Seashore. 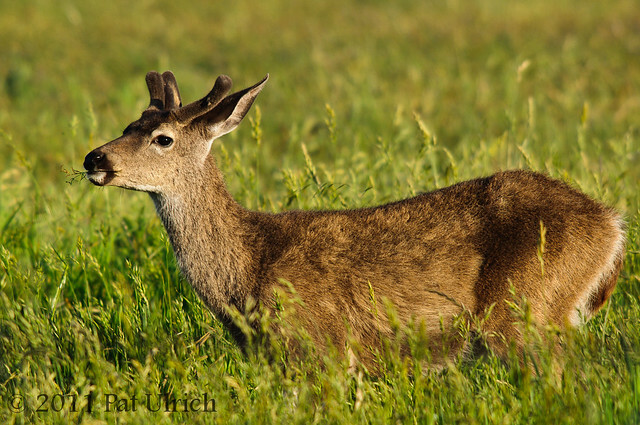 View more in my Mule Deer Gallery. A beautiful beast to see.